Get a $100 No Deposit Bonus from Cool Cat Casino! Redeem the Cool Cat Casino no deposit bonus code 100NDBNCC for a $100 free chip with a 30x wagering requirement! Make a Deposit and Get a 300% UNLIMITED Bonus at Cool Cat! Cool Cat Casino is an online casino based on the Realtime Gaming platform. It offers live customer support around the clock and a robust promotional calendar that casino updates regularly. If you’d like to experience Cool Cat Casino firsthand, then a great way to do that is with a $100 free chip. This is a no deposit bonus that’s available to new and existing members alike. If you’re new and don’t yet have an account, you’ll need to register first and download either the desktop client or the mobile app. Once logged in, you can redeem coupon code 100NDBNCC. Upon redemption, the casino will deposit a $100 bonus, which is limited to slots and keno but can otherwise be used as you see fit. Place a handful of large bets, or spread your wagers out over many spins and even different games. All coupon codes at Cool Cat Casino can be redeemed via either the desktop software or the mobile app. You’ll need to log in and navigate to the cashier page. If you’re claiming a deposit bonus, then you’ll need to make an appropriate deposit first. After making your deposit and before placing any wagers, redeem your coupon code and claim your bonus, which will be added to your account when the deposit clears. To enter a bonus code, click or tap the enter bonus code button. Copy the code and paste it into the provided box. Click redeem to complete the process. Alternatively, you can scan the list of bonuses on the bonuses page, find the one you intend to claim and click the redeem coupon button. Almost all bonuses offered by Cool Cat Casino are available to all members. The exception are welcome bonuses, which are deposit bonuses reserved for those members making their first deposits. Free chips and free spins do not require a deposit. Therefore, the casino does not allow consecutive free bonuses. If, for instance, you claimed the $100 free chip discussed earlier, you’d need to make a real money deposit before claiming the $15 free chip we’ll discuss in an upcoming section. All bonuses must be finalized before claiming another bonus. If you play through a bonus and any deposit used to claim it and have no winnings remaining, your obligation to the casino is complete. You can now claim another bonus. If you do have winnings, then you’ll need to meet a rollover requirement before withdrawing. Deposit bonuses are non-cashable, but no deposit bonuses are cashable. Non-cashable means that the bonus amount will be deducted from your account before a withdrawal is processed. Cool Cat Casino does have a standard withdrawal limit. In the case of no deposit bonuses, this limit is the face value of the bonus or $100, whichever is greater. For deposit bonuses, the limit is 10 times the deposit. So, if you deposited $250, you can withdraw up to $2,500. Any winnings beyond your limit are deducted from your account. However, the casino waives the maximum cash-out for many bonuses, and in some cases, it even waives or at least reduces the playthrough requirement. The standard wagering requirement for free chips is 30 times, so in the case of the $100 free chip, you’d have to play through $3,000 before you could make a withdrawal. The standard requirement for deposit bonuses is 30 times for slots, keno and scratch cards. It is 60 times for video poker and allowed table games. If you increase your wagering requirement to 60 times by playing those games, then that increase applies to your entire bonus regardless of how you used the other money. In addition to the $100 no deposit bonus, you can also redeem these other Cool Cat bonus codes! If you have enjoyed your time at Cool Cat Casino and are ready to deposit real money, you can claim a 300-percent match bonus using coupon code 300NDBN. This requires a $30 minimum deposit, so if you deposit $30, the casino will give you a $90 bonus. There is no published upper limit, but there is a practical limit for whichever payment method you choose. This welcome bonus is particularly interesting in that the casino waives the cash-out restriction and the playthrough requirement! While there may be bigger bonuses available, this one is really lucrative due that freedom. 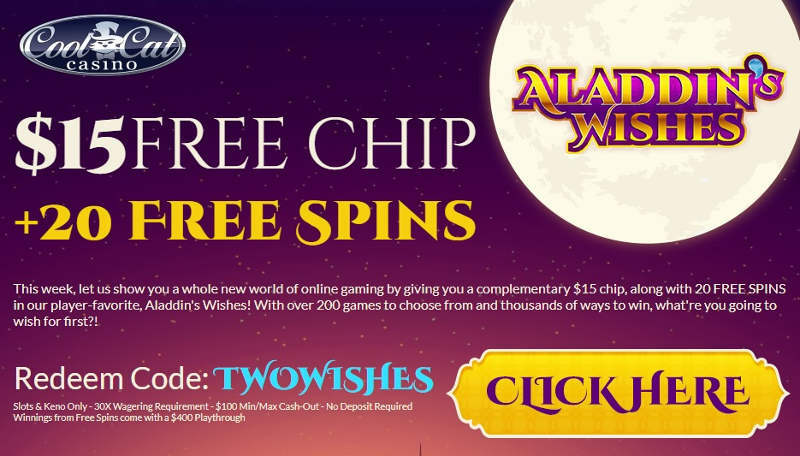 Once you’ve made your first deposit and have played through it, there’s another free chip to claim using coupon code TWOWISHES. This promotion provides you a $15 free chip that you can use on any allowed games. In addition, you get 20 free spins to use on Aladdin’s Wishes, which is a progressive slot. The free spins have a $400 wagering requirement, which is limited to slots, keno, bingo and scratch cards. 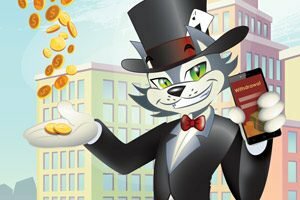 Cool Cat Casino offers other welcome bonuses that you may want to consider instead. With a $50 minimum deposit, you can use coupon code COOLWELCOME in order to get a 330-percent match bonus as well as 50 free spins for the slot Popiñata. The casino has also reduced the rollover requirement for this bonus to 5 times if you stick to slots and keno. Another option is coupon code ALLCOOLGAMES, which requires a $30 deposit, provides a 250-percent match bonus, has its rollover requirement reduced to 15, has no cash-out limit and is usable with all allowed games. Your bonus opportunities don’t end with the welcome bonus. Cool Cat Casino offers the coupon codes TAKEAGAMBLE1 through TAKEAGAMBLE5. All five codes can be used once each and provide you at least a 300-percent match bonus as well as some free spins. The gamble aspect of this promotion is that the bonus amount and free spin count randomize and can actually be higher than what it is published but not lower. This bonus is limited to slots and keno, has no maximum cash-out and has a playthrough requirement of just five. Another option is coupon code BIGGERISBETTER. This promotion matches your deposit of at least $30 by 350 percent. 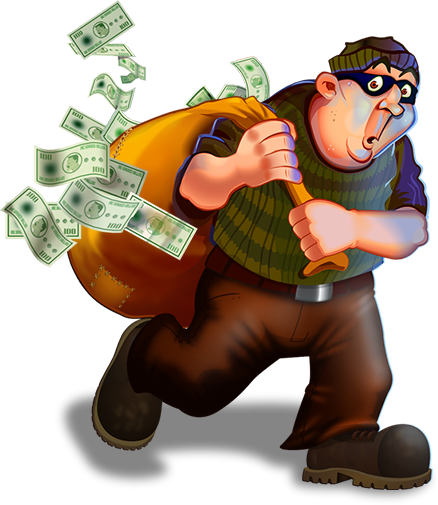 In addition, you receive at least 25 free spins and as many as 50 spins depending on how much your deposited. This bonus is limited to slots and keno, has no maximum cash-out and has a playthrough requirement of just five. This code can be used once a week, and the slot game for the free spins changes each week. Sign Up to the Cool Cat Casino Today!